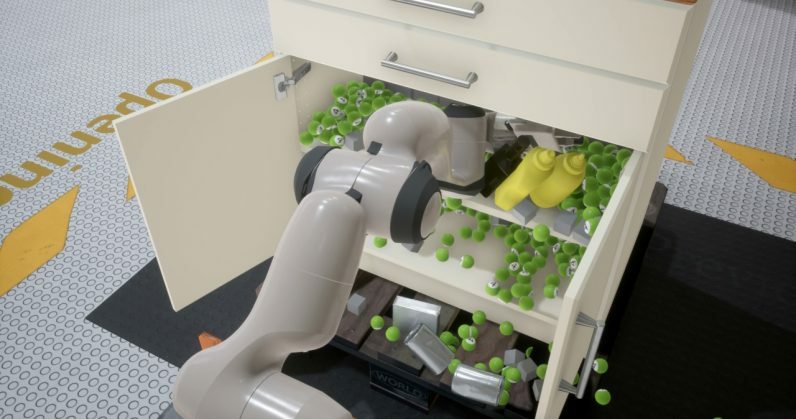 Nvidia has made its PhysX GPU-accelerated physics simulation engine open source, which means anyone can integrate into their games, as well as projects involving AI, robotics, and autonomous vehicle systems. PhysX was previously available to use in commercial projects for free, but the new BSD-3 license also allows people to modify the engine to suit their needs at no cost. The engine essentially allows for simulating real-world physical behavior in objects in 3D simulations. For example, it allows for more realistic depictions of damage to buildings in games, as well as natural movements for characters and things like paper and cloth. The company is also updating PhysX’ SDK to v4.0, which promises greater fidelity in object interactions, as well as increased scalability and stability. You can see some applications, as well as the improvements in this latest version, in the clip below. PhysX v4.0 will become available on December 20; the open source license applies to the current version (v3.4) right now, so you can begin tinkering with it as you please. Find it in this GitHub repository.